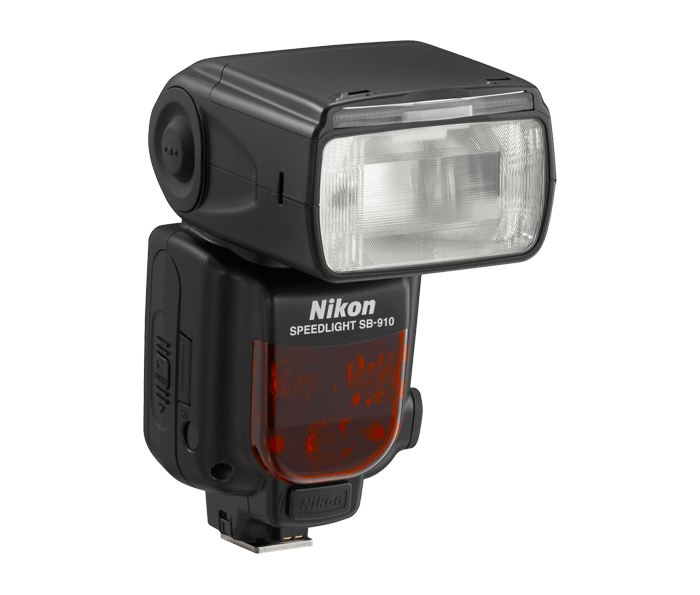 At the heart of the SB-910 is Nikon's i-TTL flash control which enables Nikon Speedlights to share critical exposure information with CLS compatible D-SLRs. All of the complex lighting calculations are computed for you instantly with consistently accurate results in just about any lighting situation. Using the SB-910 as a Commander or in concert with the SU-800 Commander or D-SLR with built-in Commander operating as the Master controller, you can wirelessly manage and fire up to three groups of remotely positioned SB-910, SB-900, SB-700 and SB-R200 Speedlights. Additionally, each group can contain any number of Speedlights and any mix of these Speedlights. SB-910 can also be set as a Remote Speedlight for complete system integration and control. SB-910 offers an improved interface, adding a dedicated Menu button and illuminated buttons for control in low light. Additionally, hard type colour correction filters are now used, providing durability and convenience when used with a camera set for Auto white balance. And when taking pictures in certain situations such as in rapid sequence, to prevent the flash tube from overheating, an improved thermal cut out protection has been adopted that slows recycling instead of cutting off the flash.